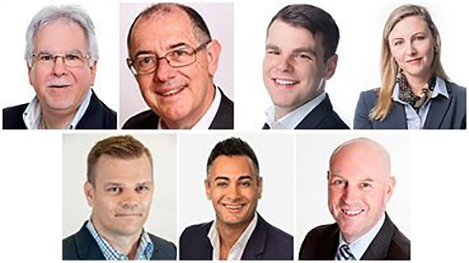 In the fifth instalment of his series on property development Bryce Yardney, property development Specialist at Metropole Properties explains in detail how to secure funding for your real estate development project. Before you commence any development project, it is obviously crucial to first establish how much you can borrow and how you will be able to manage all associated costs of the development. As a property developer you will have to understand finance and what the banks look for when lending for development projects, which is very different to how they assess financing a simple buy and hold investment. Today lenders are allergic to risk and look after their own safety first so before deciding whether to finance your project they will assess the risk, firstly with regard to you as an individual and your ability to repay the loan, and then on the viability of the development itself. In other words, banks don’t simply lend based on the security of the project; they also want to establish the track record of the people behind the development. 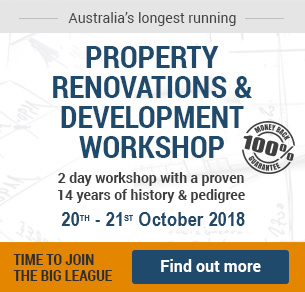 Until you develop a good reputation with the bank and a sound track record in property development, lenders will also assess your development team as well as the professionalism of your finance presentation to them. This means it’s important to submit your loan request in a professional manner, including a detailed feasibility study to show that you have allowed for all contingencies. Generally your development loan will be structured so the lender provides up to 70 to 80 per cent of the final cost of the project, rather than its end value and they will expect you as the developer, or your equity partners, to provide the balance of the funding. 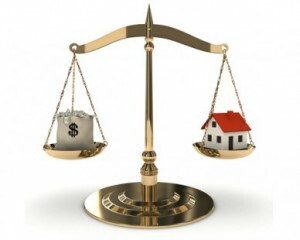 The amount you can borrow is known as the Loan to Value Ratio or LVR. Lenders generally class 2 or 3 unit projects as “residential” developments and use less stringent lending criteria for this type of project, whereas with larger developments they may require a greater percentage contribution of equity or a level of pre-sales. 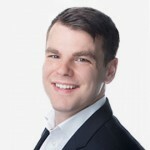 Typically, you will need to provide 20 per cent of the funds for a 2 dwelling project and 30 per cent (or in today’s tougher lending environment up to 40 per cent) for larger projects, which lenders class as “commercial” loans. So for a simple 2 townhouse or duplex development, you should be able to obtain a development loan at 80% LVR. This means if your total development cost is $3 million, your financier will expect you to contribute around $600,000 of your own equity into the project. This means you do not pay interest during the construction phase of your project, but the interest is capitalised. In other words, the interest is added to the amount you owe at the end of each month and the next month you pay interest on the interest. 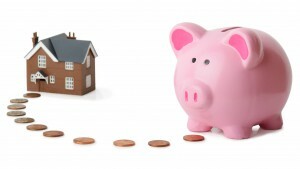 However, you still won’t be able to exceed your total loan amount which will be, say, 80% of the development costs. Once you begin marketing and on-selling your project you would then commence repayments. If you intend to retain your finished project (my preferred strategy), you would pay out the development loan by refinancing the property and taking out a long term investment loan. However, as explained) at no stage will the banks allow your loan to go above the agreed maximum percentage, such as 80 per cent. You therefore need to show your lending institution that you will be able to service the loan, including the interest repayments. To ensure you have the best possible chance of obtaining the development finance you require, you will need to put together a professional finance submission, a sort of “business plan” for your development project. This should demonstrate to the lender that you can construct a viable project with numbers that “stack up” to make a financially successful development. Loans for development finance require a detailed application, beginning with an executive summary that should point out the viability of the project and the design features of the development being considered. 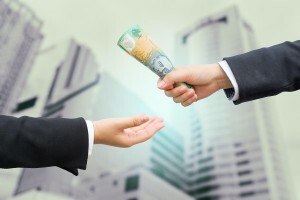 Banks remain the major source of funding for developers and while most banks are keen to lend to experienced developers, however in the current stage of the property cycle, and in the wake of the 2018 Royal Commission into Banking, many of the major players are tightening their lending criteria. As a result, second tier banks, private funders and joint venture funders are increasingly becoming a popular alternative for some developers. Proficient mortgage brokers with the right expertise and knowledge can assist you when it comes to obtaining development funding. Keep in mind that if you are undertaking a large project, your financing may need to be split over more than one lender and in this case particularly, a good mortgage broker can be of great benefit. For larger projects most lenders require a certain level of pre-sales to minimise their risk of the development. The percentage of the project they require to be pre-sold before they are prepared to hand over property development finance varies, but can be around 60 per cent. Obviously this is a way for lenders to minimise their risk. By the way…you can’t use the funds from the pre sales to help fund your development – they have to remain held on trust. Most lenders will require formal proof of budgetary and cash controls prior to and during the course of your development project. This reassures them that you have done your homework and allowed for any budget blow outs or contingencies that may arise. Prior to making progressive payments to the builder the bank will require assurance that the particular stage of construction they are paying for is completed. Sometimes they even require proof that the builder has paid all of his suppliers and trades so no claim can come back to the lender. When assessing your development, project lenders look carefully and critically at the quality of the security you are offering; that is the end product of the development. Lenders don’t like to lend against small apartments. If your apartment is less than 45 sq m the lenders will not be keen to lend on your project. When assessing the feasibility of any potential development project, it is important to keep the lender’s criteria and expectations in mind. After all, a development can look wonderful on paper, but unless it ticks all of the right boxes with the banks, it will never even get off the ground. In Part 6 of our small development series, Bryce will consider how to source and secure the best potential development site at the right price. I got a row land ready to be developed, I have the project approved already by the town (jersey city ,NJ) to built 283 apartments, but I do not have money to buy the land and to built, where do you think I can get funds or an investor for this project? Michael, so you think I do not have a good knowledge of my acquisition cost, soft cost, construction cost, rentals and/or sales prices for this project in order to get funds? Fernando – clearly I know nothing about you, so please do not be offended. 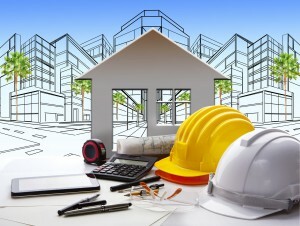 Property development is a game of finance with some real estate thrown in the middle. My assumption was based on the fact that you don’t have the financed to undertake such an ambitious development. 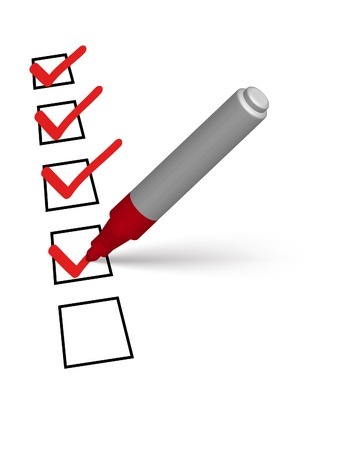 How many development projects have you successfully completed? Our team has been into the construction business for over 40 years, so trust me when I tell you we know how to built, we understand all and every one of the steps to get the job well done ,finance included. The difference now with this and 2 other projects is to get them financed and close the “circle”. Yes, you are right we don’t have the financed to undertake these projects, but we have the knowledge to do it. If we already own the property, are you suggesting that we will also be asked to contribute 20% of the proposed development costs too in order to obtain construction finance? I have an approved 8 townhouse site ….I own the property and have 30% of the funds required to build the project…The housing commission have shown interest in a long term lease of tge completed project….do you think the bank will finance the project on this basis?…would a letter of intent from the HC help secure the funding? Arthur – the banks probably won’t lend you money ont he strength of an end tenant – they want to be sure you have the funds to complete the project and then if you’re planning to keep it as a long term investment -they will want to ensure you can hold the property under their current strict servicing criteria – which you probably won’t be able to. By the way…why have housing commission as a tenant? This would devalue your property. Hi, can you recommend a broker, or private funding organisation, we are wanting to buy property and subdivide it an onsell the whole site. Do any banks lend on the end value. to further iterate if I wanted to subdivide and build say 3 units with Say total value $1m and needing a loan of $700k all up giving me LMV of 70% in the end, could i get that loan out to pay for the subdivision costs or do i need a deposit upfront? Great article! We are just started doing a feasibility study for a property we have a contract. Can you recommend someone who can help with development lending? I have clients who’s looking for projects loan in Thailand.Can yo provide project funder?